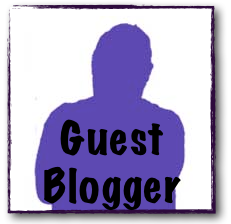 Why welcome guest posts on your brand’s blog? Guest blogging is a bit misunderstood. Some people see guest blogging as a valuable tool, others see it as a tactic for linkbuilding. Both opinions are right in a way. There are marketers out there who are only in it for the links but there are valid reasons as to why you should accept guest posts on your company blog. Guest blogging should be used as a tool to build relationships. By accepting blog posts on your own blog you may be given the chance to reciprocate and, yes, get a link back to your site. Blogs are about sharing knowledge, advice and opinion. It’s important to remember that it’s not all about you. A successful blog writes for its readers. If there’s a topic that you believe your readers would be interested in but you’re not an expert in that field why not ask someone else to help? Your first point of call could be people in your company. Of course it helps if they can string a sentence together! Different people within your business will have different specialisms so take advantage of your home expertise before extending your reach. You could also approach other industry professionals and bloggers who write in your field. Most people would be pleased and flattered to be asked to write a guest post as it shows that their opinion is valued. The main benefit of using guest bloggers is that it keeps your blog active with fresh content. Most people running corporate blogs do so as a sideline to their main role so using guest bloggers is great for when you are pressed for time. Guest bloggers offer a fresh perspective and give your readers a variety of opinions and writing styles. This can increase your readership as different styles of writing appeal to different people. Speaking of increasing your readership, your guest blogger is likely to bring new eyes to your blog, particularly if they have a following of their own. They may well share the post on social media. Another benefit is that using a well-known blogger could bring extra credibility to your company. If you decide to go down the route of taking on guest posts for your blog the key thing to remember is that it is still your blog. Ensure that all posts are compatible with the feel of your blog and maintain your high standards. Feel free to proofread all posts and correct spelling or grammatical errors. You may also wish to make sure the content is factually accurate. If the submission is of low quality don’t publish it. You’ve worked hard to build a reputation and readership for your blog. There would be no point in ruining all of that by publishing substandard or irrelevant posts. If you want to talk to someone about how to manage blogger outreach or choosing content for your company’s blog feel free to get in touch.